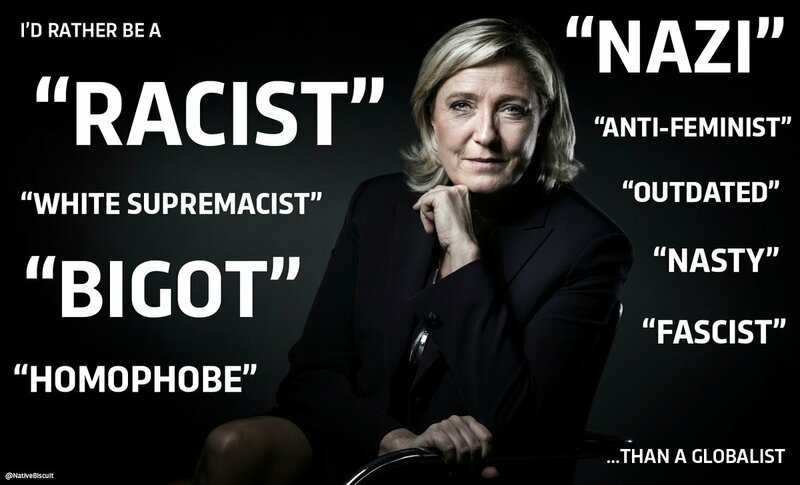 Marine Le Pen: “Give us France back, for God’s sake” – Zeepertje.com – Facts Fun & News on ISLAM, "The religion of peace"
The choice on Sunday is simple: It is a choice between a France that is rising again and a France that is sinking. She is right. Far too many Westerners are still licking old (now gangrenous) wounds from eons ago. Europeans and white people are deemed inherently or inveterately evil because of colonialism and racism, and so deserve to be punished, no matter how the global situation has changed since colonial days. This punishment, moreover, is without limitations. Buzzwords such as “globalization,” “diversity,” and “tolerance,” which may once have had relatively benign meanings, have been warped and manipulated as part of the larger endeavor to destroy Western civilization from within. Unscrupulous Islamic supremacist warriors play the victimhood ploy with proficiency. They would have us all turn a blind eye to the history of Islamic jihad conquest prior to the era of colonialism, as well as to present-day slavery in some Muslim countries, the general Islamic intolerance and abuse of religious minorities and infidels, and the sickening treatment of women that is sanctioned by Sharia law. Mass immigration is not an opportunity for France, it’s a tragedy for France…Give us France back, for God’s sake. FRONT National presidential candidate Marine Le Pen has told a rally in Paris that French voters have a choice between the “savage globalisation” promoted by her rivals and her patriotism. In an attack on her rivals such as Francois Fillon and Jean-Luc Melenchon she said they advocated “savage globalisation” compared to her “camp of patriots”.